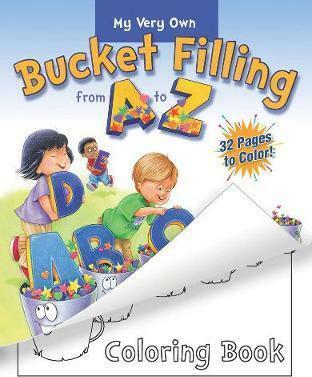 You can fill buckets from A to Z! "L is for Listen. Listen when people talk." "T is for Tell. Tell your family you love them." These are just a couple of the many wonderful suggestions that this coloring book offers to children, all while learning the alphabet. Winner of 2 awards. For more information on bucket filling or free downloadables and resources, please visit bucketfillers101.com.